The AFL New Zealand Rising Star award for round 8 of the 2018 AFL New Zealand Premiership has been awarded to Blake Williamson from the AFL New Zealand Academy. 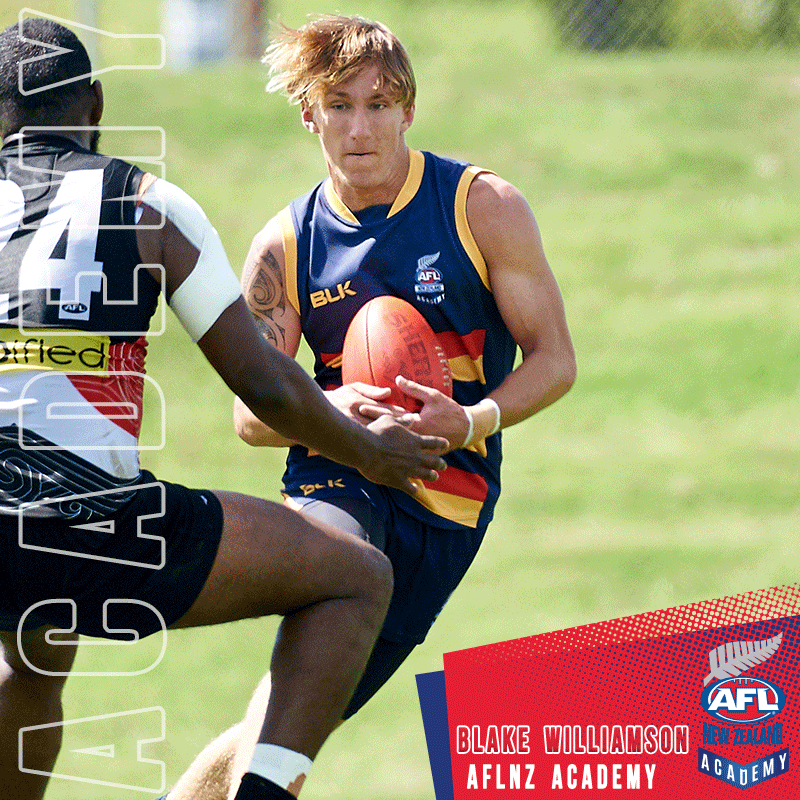 Blake hails from Northland and travels to Auckland through his involvement in the AFL New Zealand Academy. Williamson has played a number of games this season playing as a development player and after a terrific all round performance during round 8, Blake was named best on ground for the Southern Saints. His background with adventure racing means that he had speed and endurance. With more development through the academy, Blake has the potential to become a big name in the AFL community in New Zealand. “Blake played AFL a few years ago and then went to concentrate on his Adventure Racing. Two years later the benefits of his adventure racing certainly show through with his ability to move around the ground and running a whole game out. Blake’s confidence has grown with each opportunity given through the premiership and will be one to watch in Wellington in two weeks time. 2019 will see the opportunity for Blake to be drafted into the Premiership, no doubt he will be a highly sought after player.” National Youth Manager, Mick Coultard. AFL New Zealand Media had a chat with Blake during the week. I’m currently in year 12 at Whangarei Boys High School. Growing up I’ve played Rugby, League and Athletics. I got into AFL 3 years ago when a friend suggested that I should play the sport. High Performance Manager Mick Coultard then approached me to play and I joined the AFLNZ Academy. The thing I enjoy about AFL is the level of intensity during the game. Not just bursts of intensity but the whole game is fast paced and you always have to be on your game. My goals for AFL is to get a scholarship to Australia where I can hopefully get a name in the sport and train and play at the highest level. My biggest advantage on the field would be my speed and agility.